Ryan Max Riley (born May 15, 1979) is a humorist and athlete who was a humor writer for The Harvard Lampoon . He competed on the World Cup for seven years and was a two-time US National Champion as an athlete on the U.S. Ski Team in the freestyle skiing events of moguls and dual moguls. He graduated with a bachelor's degree from Harvard College and earned master's degrees from the University of Oxford and Yale University. The U.S. Ski Team, operated under the auspices of the United States Ski and Snowboard Association (USSA), develops and supports men's and women's athletes in the sports of alpine skiing, freestyle skiing, cross-country, ski jumping, and Nordic combined. Since 1974 the team and association have been headquartered in Park City, Utah. Steamboat Springs, often shortened to Steamboat, is a Home Rule Municipality that is the county seat and the most populous city of Routt County, Colorado, United States. As of the 2010 census, the city population was 12,088. Winter Park Resort is an alpine ski resort in Winter Park, Colorado in the Rocky Mountains. Located just off U.S. Highway 40, the resort is about a 90-minute drive from Denver, Colorado. Dwarf rabbit refers either (formally) to a rabbit with the dwarfing gene, or (informally) to any small breed of domestic rabbit or specimen thereof, or (colloquially) to any small rabbit. Dwarfism is a genetic condition that may occur in humans and in many animals, including rabbits. True dwarfism is often associated with a cluster of physical abnormalities, including pituitary dwarfism. The process of dwarfing is used to selectively breed for smaller stature with each generation. Small stature is a characteristic of neoteny, which may account for the attraction of dwarf animals. Tybalt is a character in William Shakespeare's play Romeo and Juliet. He is the son of Lady Capulet's brother, Juliet's short-tempered first cousin, and Romeo's rival. Tybalt shares the same name as the character Tibert/Tybalt the "Prince of Cats" in Reynard the Fox, a point of mockery in the play. Mercutio repeatedly calls Tybalt "Prince of Cats". Luigi da Porto adapted the story as Giulietta e Romeo and included it in his Historia novellamente ritrovata di due Nobili Amanti published in 1530. Da Porto drew on Pyramus and Thisbe and Giovanni Boccaccio's Decameron. Da Porto gave it much of its modern form, including the lovers' names, the rival families of Montecchi and Capuleti, and the location in Verona. 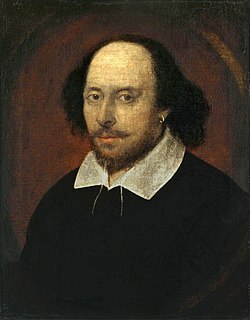 He also introduces characters corresponding to Shakespeare's Mercutio, Tybalt, and Paris. Da Porto presents his tale as historically true and claims it took place in the days of Bartolomeo II della Scala. Montague and Capulet were actual 13th-century political factions, but the only connection between them is a mention in Dante's Purgatorio as an example of civil dissension. While in college, Riley was a humor writer for The Harvard Lampoon, a humor magazine and humor society founded in 1876 at Harvard University. He now writes comedy for publications such as CollegeHumor,  Splitsider (the humor website of The Awl), The Higgs Weldon,  The Big Jewel, and FunnyTweets. His first novel is forthcoming. The Awl was a website about "news, ideas and obscure Internet minutiae of the day" based in New York City. Its motto was "Be Less Stupid." The Nor-Am Cup is one of the tours of competitions organized by the International Ski Federation, and it takes place in North America. Austria, officially the Republic of Austria, is a country of nearly 9 million people in Central Europe. It is bordered by the Czech Republic and Germany to the north, Hungary and Slovakia to the east, Slovenia and Italy to the south, and Switzerland and Liechtenstein to the west. The territory of Austria covers 83,879 km2 (32,386 sq mi). The terrain is highly mountainous, lying within the Alps; only 32% of the country is below 500 m (1,640 ft), and its highest point is 3,798 m (12,461 ft). The majority of the population speaks local Bavarian dialects as their native language, and German in its standard form is the country's official language. Other local official languages are Hungarian, Burgenland Croatian, and Slovene. Travis Mayer is an olympic-level Freestyle Skier. He won the silver medal in the moguls competition at the 2002 Winter Olympics and also competed in the 2006 Winter Olympics. Jeremy Bloom is an American professional skier. He is the only athlete in history to ski in the Winter Olympics and also be drafted into the National Football League. As a skier, he is a three-time World Champion, two-time Olympian, and 11-time World Cup Gold Medalist. He became the youngest freestyle skier in history to be inducted into the United States Skiing Hall of Fame in 2013. He won a record six straight World Cup events, the most in a single season in the sport's history until Mikael Kingsbury won seven straight events in a single season, twice, and 13 straight events over two seasons. As a football player, he was an All-American at the University of Colorado Boulder and, although he never appeared in a regular-season game, was signed to play professional football as a wide receiver and return specialist for the Philadelphia Eagles and the Pittsburgh Steelers. Steamboat Mountain School, formerly The Lowell Whiteman School, is a small, college preparatory school in Steamboat Springs, Colorado focused on experiential education, for students in grades 9-12. Ski-U-Mah, was the college humor magazine of the University of Minnesota from about early 1920s to 1950. The magazine was affiliated to the Sigma Delta Chi fraternity in the university. It was modeled on Harvard Lampoon. Shannon Bahrke is an American Olympic freestyle skier and entrepreneur. Bahrke was the silver medalist in moguls at the 2002 Winter Olympics in Salt Lake City, the bronze medalist at the 2010 Winter Olympics in Vancouver, and in 2003 was the World Cup Champion. With her bronze medal in 2010, she became the first US women's freestyle skier to win multiple Olympic medals. Bahrke was also the 2009 US National Champion in dual moguls. She has reached the podium twice at the FIS Freestyle World Ski Championships, winning bronze in 2003 and silver in 2007, both in dual moguls. In 2008, she founded Silver Bean Coffee, a Salt Lake City based coffee roasting company. Alexandre Bilodeau is a retired Canadian freestyle skier from Montreal, Quebec. Bilodeau currently resides in Rosemère, Quebec. Bilodeau won a gold medal in the men's moguls at the 2010 Winter Olympics in Vancouver, becoming the first Canadian to win a gold medal at an Olympic Games held in Canada. At the 2014 Winter Olympics, he became the first Olympian in history to defend his gold medal in any freestyle skiing event as well as the first Canadian to defend an individual title since Catriona Le May Doan at the 2002 Winter Olympics. Bilodeau is a three-time FIS World Champion in dual moguls, and is also a two-time Worlds silver medalist in moguls. He was the FIS World Cup champion for the 2008–09 season winning the moguls and overall freestyle skiing title that season. In his final World Cup race, he retired with a win, and in doing so, surpassed Jean-Luc Brassard for the most World Cup medals by a Canadian. Patrick Deneen is an American freestyle skier, specializing in moguls. Deneen was the gold medalist at the 2009 International Ski Federation (FIS) Freestyle World Ski Championships. 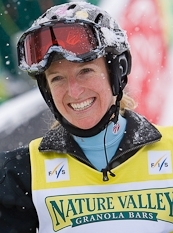 In December 2009, Deneen won the US Olympic trials, held at Steamboat Springs, Colorado, securing a spot on the US Olympic Team for the 2010 Winter Olympics in Vancouver. In FIS World Cup events, he has reached the podium at 4 events in 25 starts, and was the 2008 Freestyle Rookie of the Year. 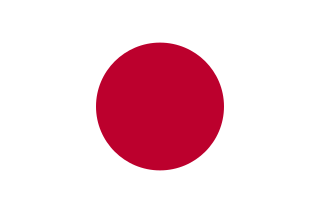 Sho William Kashima is an American freestyle skier from El Paso, Texas. Sho currently resides in Park City, Utah. Sho was considered a threat to qualify for the U.S. Olympic team in Vancouver, but missed the 2010 Games after suffering a knee injury in January of that year, ending his season. Mikaël Kingsbury is a Canadian freestyle skier and is the most accomplished mogul skier of all time. He achieved eminence early in his career after earning the 2009–10 FIS World Cup Rookie of the Year award. He is the seven-time reigning FIS Freestyle World Cup title-holder for both moguls and overall freestyle, owning the records for most men's Moguls World Cup titles and Overall Freestyle World Cup titles. He also owns the records for career World Cup moguls victories with 53, and consecutive Freestyle World Cup event wins with 13. He is the first man to have won both the moguls and dual moguls World Championship events, and has won the most medals at the Freestyle World Championships of any male competitor in history, having won a medal in 7 of the 8 events. Kingsbury won the Olympic silver medal in 2014, and, at the 2018 PyeongChang Winter Olympics, he won the gold medal as Olympic champion of men's moguls. K.C. Brette Oakley is an American freestyle mogul skier and a member of the United States Ski Team. She started competing on the World Cup circuit in the 2011-2012 ski season after finishing first in the NorAm Cup standings at the completion of the 2011 season. K.C. was born in Hollywood, CA and lists her hometown as Piedmont, CA. Jeremy Cota is an athlete on the U.S. Ski Team; he competes in the freestyle skiing events of Moguls and Dual Moguls. David DiGravio is an athlete on the U.S. Ski Team; he competes in the freestyle skiing events of Moguls and Dual Moguls. Eliza Shirley Outtrim is an athlete on the U.S. Ski Team; she competes in the freestyle skiing events of moguls and dual moguls. Ann Battelle was a world champion and World Cup champion on the U.S. Ski Team; she competed in the freestyle skiing events of moguls and dual moguls. Evan Dybvig was an athlete on the U.S. Ski Team; he competed in the freestyle skiing events of moguls and dual moguls. Alex Wilson was an Olympic athlete on the U.S. Ski Team; he competed in the freestyle skiing events of moguls and dual moguls. Jillian Rachell Vogtli was a two-time Olympian and athlete on the U.S. Ski Team; she competed in the freestyle skiing events of moguls and dual moguls. Benjamin Cavet is a freestyle skier specialising in mogul skiing. At the age of 10 he moved to France with his parents and joined the Chatel ski club. He became a French citizen in 2012, after not having been offered funding from the UK. He competed for France in the moguls at the Winter Olympics 2014. ↑ Riley, Ryan Max (10 October 2013). "Bios for New York's Most Popular Tutors". CollegeHumor. Retrieved October 10, 2013.